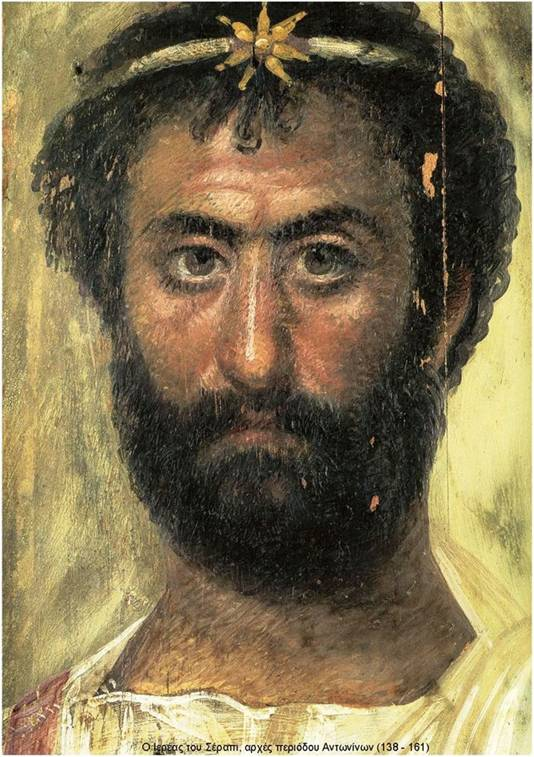 In this two part lecture Samten focusses on a crucial stage of astrology’s historical development: the Alexandrine Renaissance and the great cultural hybridity that took place between Egyptian, Greek, Roman and Babylonian transmissions, amongst others. 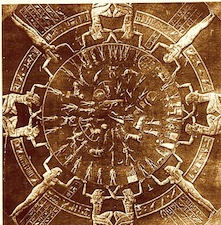 In this presentation Samten will weave together examples of the interface of astrology with the Egyptian Zodiac of Denderah, the zodiac coffins, The Corpus Hermeticum, and the Decans, the Gnostics, the Magical Gems and papyri, and from this excavation, pointing to how history can inspire us towards future creative astrological activity. Illustrated with slides. The emergence of the first fusion of the Carolingian Leiden Aratea of the 36 Decans of Astrology [The Minor Constellations] with the so-called Egyptian Tarot, takes us from fin d’Siecle Paris to California, and The Brotherhood of Light texts by C. C. Zain. To date, no other system of Hermetic correspondences fusing a spectrum of the ‘esoteric’ arts, such as Alchemy, the Kabbalah, and Astrology, has come to light. This talk will be a companion piece to Samten’s other presentation “The Hermetic Transmission of Astrology in Graeco-Roman Egypt” – and will be practically illustrated by a Board Game, of the entire system, with Zodiacal Signs, Planets, Decans, and the 360 degrees – in an experimental presentation of it’s practical application for Hermetic and Astrological praxis. 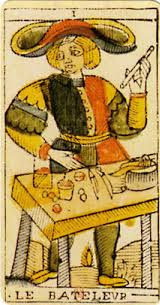 “De Wet is by profession a scholarly researcher whose contribution to the back-story of Tarot is tragically overlooked. His article entitled ‘The Serpent Lineage’, (http://www.luxlapis.co.za/Lineage.html), was first published in 1986 by The Hermetic Journal, Edinburgh. In it he illuminates the coding and transmission of the Wisdom Tradition among the Reformation and Enlightenment magi, pointing out this tradition’s long roots in history.